To create the Universal PowerCLI loader, I first needed to take stock of what all the different PowerCLI versions require and bring. The result of that inquiry is reflected in the following spreadsheet. Columns E, F and G: contain hyperlinks to the respective Release Notes, Download link and Online Helppage for each PowerCLI release. Note that the download will require you to enter a MyVMware account. Columns Q and R: the minimum and maximum supported vSphere version. These are just an indication, always use the VMware Product Interoperability Matrixes to determine which version is required. Columns U and V: the number of cmdlets available for the “regular” modules and for the “Cloud” modules. To get the total number of cmdlets in a specific release, add these two numbers together. The table starts with PowerCLI 5.1.0.2, since I personally think you should never need an older version. If you do, let me know, and I’ll see if I can expand the table and the function. Throw "PowerCLI doesn't seem to be installed on this system!" Line 47-53: depending if the PowerShell session is a 32- or 64-bit process, another registry branch needs to be accessed. Line 86-106: loads the requested PowerCLI modules, if we are in a PowerCLI v6.x environment. The logic first determines which modules are available, then substracts the ones that are already loaded and finally loads the missing ones. This means that the function can be called more than once. Line 94: in combination with the table, define earlier, this line will check for each known PowerCLI module, if it is present in the current PowerCLI installation. Line 109-135: similar logic as before with the modules, to load the required PowerCLI PSSnapins. Line 127-133: execute the PSSnapin initialisation scripts if requested. The default is not to run these scripts. The purpose of the function is quite straightforward, it loads the PowerCLI PSSnapin and modules. The call to the function can be placed in the beginning of your scripts. No more need to handle the loading of PowerCLI in your scripts. This will load all PowerCLI PSSnapins and modules, depending on the installed PowerCLI version, minus the Cloud related modules and PSSnapins. The Enable-PowerCLI function is available on my Github Scripts repository. Note that the Enable-PowerCLI function can not be added to a module. The Add-PSSnapin cmdlets executed inside a module, are not propagated to the caller! This is a know, unresolved issue. Get-ChildItem : A parameter cannot be found that matches parameter name ‘MasterName’. Hi.. I am not versed in Powershell or PowerCLI.. but found this function very handy. Is there way to just include it in a powershell script so it prepares the environment within the script and not call out to a function? If so.. how would i go abouts doing that? I am asking as i have a laundry list of PowerCLI and need to run a very simple get-dvswitch but cannot execute from powercli (need to invoke thru command.com -> powershell.exe). Any plans to update this for PowerCLI 6.5R1? This is great work and seems really cool Luc! I am trying to build up mu proficiency with both PowerCLI and Powershell and wanted to ask how this is used. Does this script need to be executed in Powershell? or in PowerCLI? Once executed, it installs what is needed and then one can simply add the “Enable-PowerCLI” at the beginning of a script? Sorry for the “noob-like” questions, but this is something I am trying to get a grasp of. PowerCLI is added on top of PowerShell. And yes, you load the function and then you call Enable-PowerCLI. 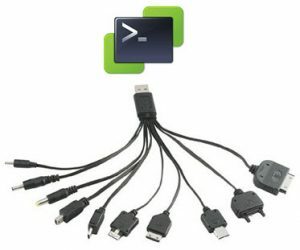 This should make sure that all required PSSnapins and modules for PowerCLI are loaded. I also just ran into an issue with my version of powercli, which was 3639347, which wasn’t a part of the arrays you put together for $pclipssnapin and $pclimodule, so nothing happened. I don’t seem to have that specific build in my “official” list of PowerCLI versions. I strongly suspect that this is a private beta that came just before PowerCLI 6.3R1. Hi LucD, to get your powershell header items to work, they need to exist on their own lines. If you do help on your function, it currently doesn’t report back proper information. But once on new lines, everything looks good. Looks really cool. 🙂 Any plans to publish on GitHub/PowerShellGallery? Yes, was planning on starting a module on Github/PSGallery with some of my functions in there. Unfortunately, as I discovered, you can’t use Add-PSSnapin cmdlets inside a module. The loaded PSSnapin will not be propagated to the caller. This is a known issue I’m afraid.